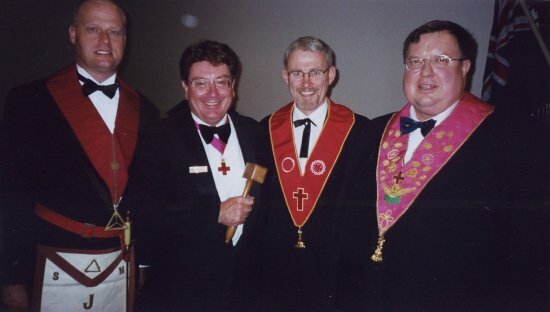 The Regalia of the 6th Degree “Intimate Secretary” (on left). 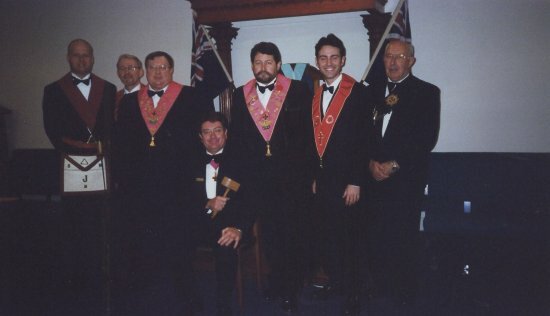 Princes at Holden Chapter. Two Newly Perfected Princes. Artarmon Masonic Temple. Joint Meeting with Chapter Lane Cove St Paul. July 2006. 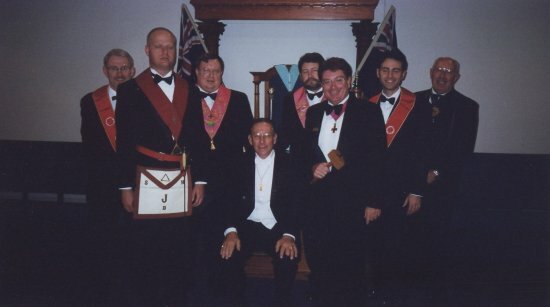 Other Joint Meetings have been held with Chapter Baden Powell St Phillip, at Top Ryde Masonic Hall. Chapter Members come in all shapes & sizes. 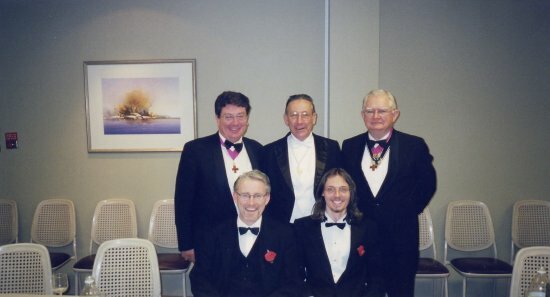 Ritual team assembled for the 6th Degree emulation. Artarmon Masonic Hall Refectory is a streamlined and stylish setting. 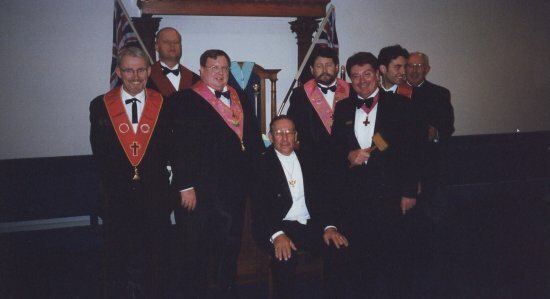 Our Chapter regularly takes our 18th Degree Candidates to conduct Perfections Ceremonies during Joint Meetings with other Local Chapters. 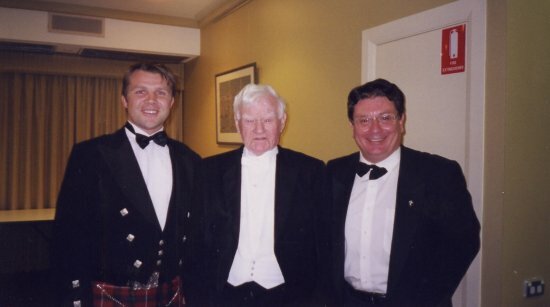 Celebration of the life of a 100 year old Mason; still doing Charges & Toasts. 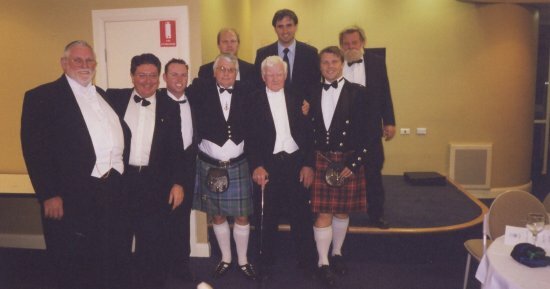 Epping Masonic Centre 2007. 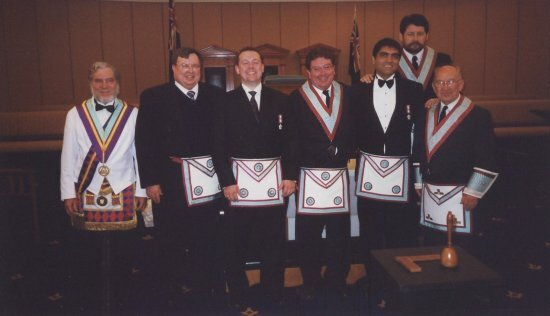 Example of the rich, endlessly fascinating philosophical & spiritual tapestry of Masonry! 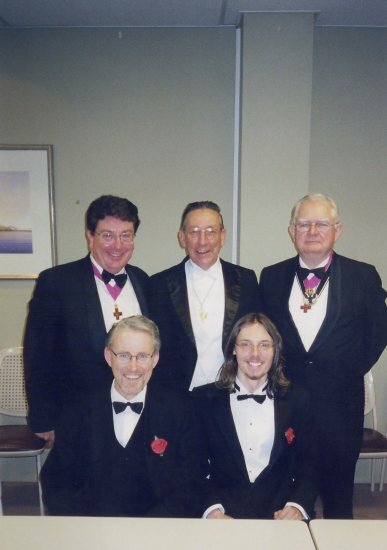 Epping Masonic Centre 2007. All shapes, all sizes, all ages, all dress codes, long beards, short beards, Real Fraternity!